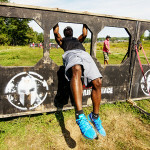 Spartan Race obstacles strike fear into the hearts of many who battle with the course. Race after race, our obstacles continue to taunt even the most seasoned racers. 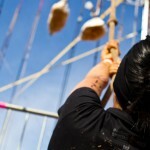 Take the Rope Climb, for example. If you don’t have the upper body strength, or know how to employ hook holds with your feet, it may be 30 burpees for you. 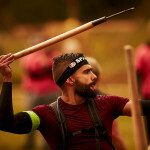 Another obstacle racers love to hate is the Spear Throw. How many times have you seen people fail this obstacle, while others make it look so effortless? 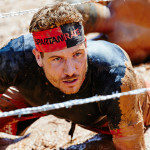 Many obstacles will confront you on your path to Spartan victory, and it is here that we will begin to introduce you some of our signature ones, and what you can do to prepare for them. 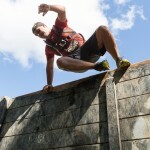 It is the responsibility of each racer to know and understand the rules for the event and for each specific obstacle. 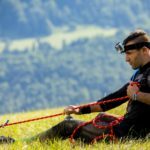 If you do not understand a specific rule it is up to you to ask the race director or volunteer at the obstacle before attempting to complete it. Race rules can be modified any time depends on country, type of race, amount of racers, weather and season. Specific instructions of the most common used obstacles can be seen on right side of this web page. Complete Manual can be downloaded here. Instructions given verbally during pre-race briefing by the Race Director, given verbally at a specific obstacle, or in written-event specific instructions, take precedence over rules below. 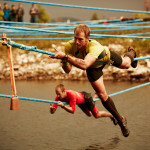 Some obstacles may, at certain events, be modified to be more challenging or have variations in their proper execution. Instructions given at the obstacle must be followed. It is quite common for a obstacle to have modified instructions for various environmental, logistical or creative reasons. Obstacles are divided to two basic groups: Mandatory and Non-mandatory obstacles. In the event that an obstacle is determined “mandatory”, an athlete will be disqualified if the Athlete does not complete the obstacle. Mandatory obstacles are either defined in the standard obstacle rules, or must be disclosed in the pre-race and/or described as such on course. For all Open Heats some obstacles can be complete with help of other runners and some obstacles not and must be completed individually. Elite and Age Group racers are not allowed to help each other to complete obstacles. 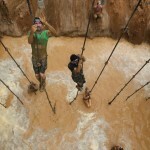 may involve entering water (rope climb) or other challenging terrain to get to the obstacle itself. Some obstacles can be attempted with no limit to be completed (slippery wall, other walls). If an runner try more attempts than once, may not prevent another incoming competitors to overcome. Some obstacles have allowed just one attempt (spear man, traverse wall). The only exception for not doing any attempt is swimming obstacle. In this case non-swimmers must report to obstacle referee they are not able to swim and they will get special amount of burpees. Non-swimmers will get definitely more then 30 burpees. Camera review can change the outcome of the race, and results are not final until camera review and field officials have approved the results and assessed penalties. A burpee consists of a two components. At the “bottom” of the burpee, the body and legs are straight and parallel to the ground, with a full push-up with chest touching the ground. At the “top” of the burpee the body and legs are straight and perpendicular to the ground, with hands above ears, and a jump with feet leaving the ground. Detailed info how to perform proper Burpees can be read here. We will never reveal all our secrets. We must maintain the Spartan element of surprise at every one of our races. However, there are some gold standards that have been established over time, and it won’t hurt to introduce you some of the things that might stand between you and your finish line.